Mr. Amit Gupte is the perfect example of what perseverance, hard work and dedication can do. 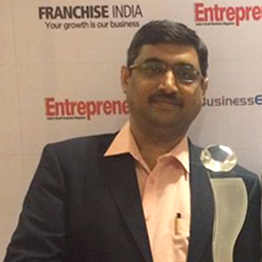 Mr. Amit started AAG Engineering as a Proprietor Firm in 2012. And within a year, he formed his firm into a Pvt. Ltd. Company. In addition to that, the company’s turn-over reached to 100 lacks in the financial year 2013-14. This certainly is a tale of success. Today, Mr. Amit poses as the Managing Director of AAG Engineering and is responsible for complete Engineering. An Instrumentation engineer by qualification, Mr. Amit has a rich experience in engineering of Bulk material handling equipments specialized in dynamic weighing system. He is the driving force behind AAG’s vertical growth over the years.